Hey Durham fitness lovers! 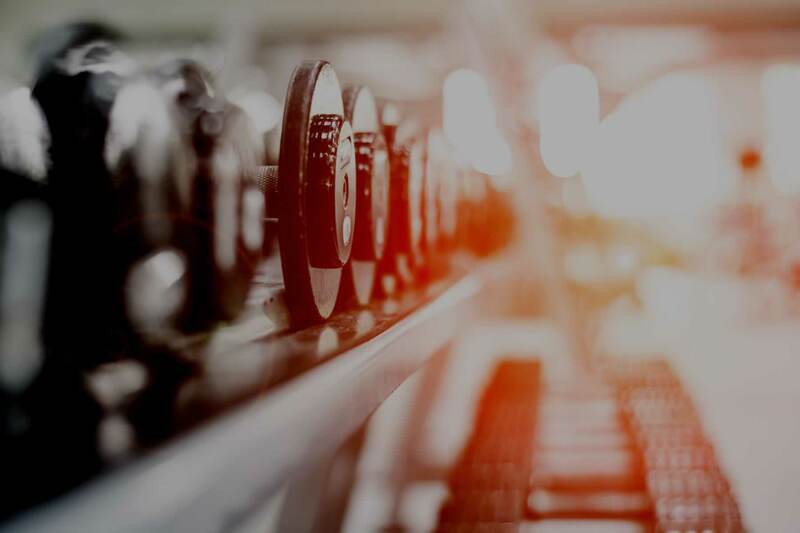 If you love fitness and working out as much as our Durham personal trainers do, then chances are, overtraining is something you have to be careful of! So what is overtraining exactly and what are the risks and solutions associated? Read more to find out! According to bodybuilding.com, overtraining is a common problem in weight training, but it can also be experienced by runners and other athletes. Over training is to the point where you are actually getting WEAKER but working out too much and without rest. To avoid overtraining, our Personal Trainers in Durham recommend taking at least one rest day a week and to make sure you are consistently feeding your body and muscles with enough nutrients to stay strong and nourished. The key is listening to your body, energy levels, and focus at the gym. 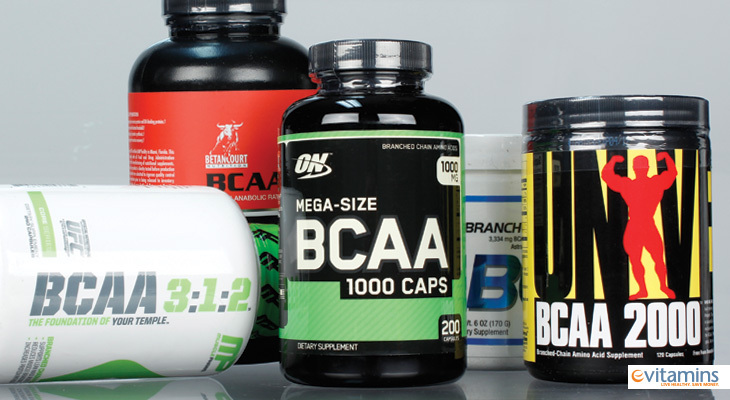 So what does this all amount to and HOW do you incorporate BCAA’s into your diet? Many athletes get their BCAA from a dissolvable powder you put in your water or other beverages, either flavored or unflavored, and then consume either before, during, and/or after your workout. This can be especially helpful in maintaining muscle mass while on a calorie-deficit diet, as dieting can also take a chunk out of your muscle mass IN ADDITION to the fat you are also losing. This is because dieting is a catabolic process, or muscle breakdown. This is because the leaner a body gets, the harder the body tries to hold onto body fat stores. As a result, the body will turn to muscle as an energy source. No bueno! To fight against this process, many take BCAA’s, particularly leucine, to stimulate protein synthesis and decrease the rate of protein breakdown. So if one of your goals at our Durham personal training gym is to increase muscle and lose fat, BCAA’s might be your answer! 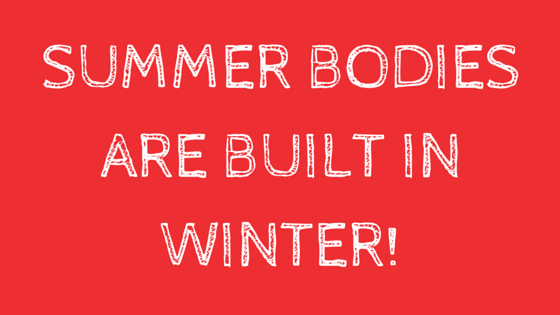 From our personal trainers in Durham…. Happy muscle building and fat burning! Perhaps with the help of BCAA’s! Hey Durham fitness fanatics! We all know rest days are critical to repairing our muscles and building strength… But for some of us, it’s hard to just sit still without dreaming about the gym or a nice run outside! If this sounds like you, good news! You don’t have to spend your rest days just sitting! Read the tips below from our Durham personal trainers to learn about how you can promote recovery, conditioning, and correct movement patterns on your rest days without being a couch potato. Just remember, a lack of proper recovery days can lead to plateaus and can lead to injury! If you need some fitness motivation, come meet one of our durham personal trainer to get started today! Find a local walking trail and take 1-3 mile walk at a leisurely pace. Even a simple walk around the neighborhood will help! Make sure you eat healthy and stay hydrated on your rest days so your body can recover and feed your muscles. Protein is key! Go to bed early to allow your body the extra rest. Sleep is when our bodies are able to rebuild and heal! How do you use your rest days to recuperate and recharge? We’d love to hear! From our personal trainers in Durham… Happy recovery! Are you in? Are you subscriber? 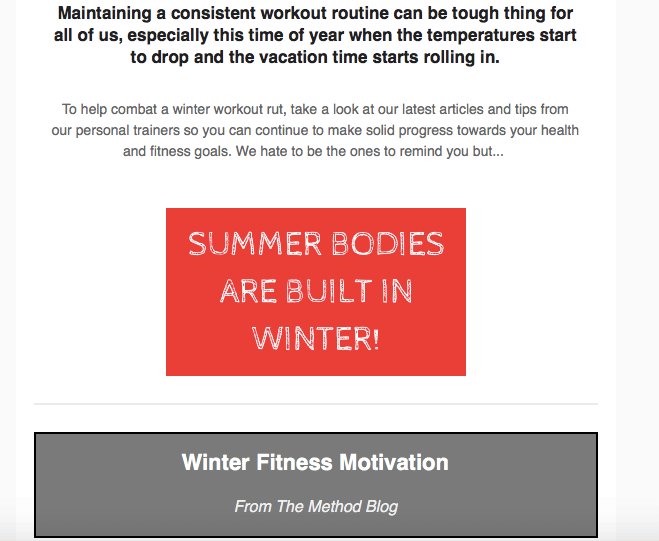 We just released our winter newsletter that features fitness inspiration and tips from our Durham personal trainers! Don’t miss out! Visit the link below and subscribe today! As always, come by our private Durham gym in downtown Durham near Duke! Comments Off on Are you In? 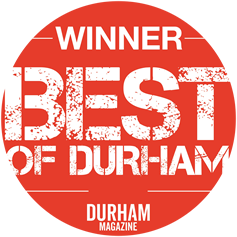 To kick off the new year, we are recapping what our private gym in Durham can do for you. Not only is our workout methodology effective, it’s safe. Change Your Body. Find Your Strength. 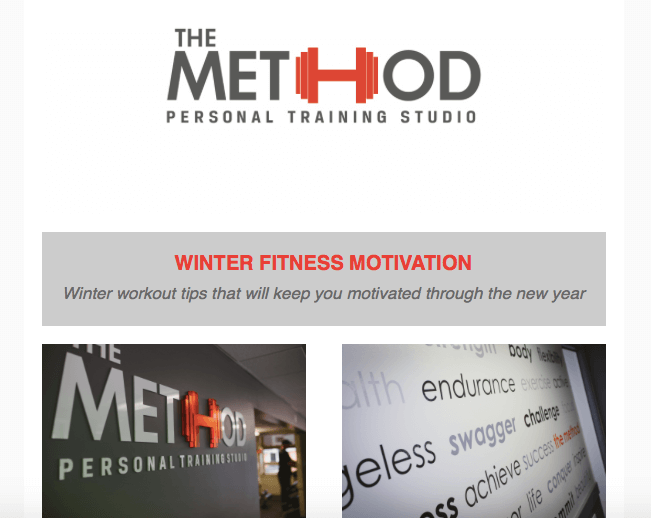 The Method is all about teaching our clients how to lift weights and exercise with the proper technique. There’s no slinging or jerking at our gym; only controlled movements that yield real results. Come workout with us in our private gym. We are located in Durham adjacent to Duke Campus and 5 minutes from downtown Durham. Comments Off on New Year, New You! We know, the truth hurts! If you’re needing some extra fitness motivation or an accountability partner to keep you on track, get in touch with us today! We have a fantastic group of experienced personal trainers in Durham that would love to help you meet all of your health and fitness goals! Are you working out a ton but unsure of how you can lose weight and still gain more muscle? We’ve touched on this topic before but it’s a common one we get and there is a lot of material we can cover under this topic. Simply put, the answer to this questions is, in order to lose body fat and gain muscle, you need to do the right kind of exercise and follow the right kind of diet. The diet is so key here. Cutting calories will obviously help you lose weight but you want to make sure you’re losing fat instead of muscle. In fact, research suggests that as much as 25 per cent of weight lost by dieters is from muscle. Thats’ the last thing we want to do. You also want to make sure you’re not restricting calories too much or you won’t be able to have very effective workouts and could also slow down your metabolism. On the flip side, the more muscle you have, the faster your resting metabolism will be! Muscle burns more calories than fat, so the more you have, the higher your metabolic rate will be. So what’s the secret to preserve muscle while dieting? We say the secret lies in resistance exercise (weight lifting, weight machines, and whole body exercises) and eating lots of protein at the right times When paired with lots of protein, even more than the recommended base amount, can boost the effects of resistance training and build muscle. Next week on our blog, we are going to provide you with some tips on how to accomplish this goal of losing weight and gaining muscle! Stay tuned! And if you have any questions don’t hesitate to reach out to our personal trainers in Durham! Today our personal trainers in Durham are sharing 10 reasons why you may not be losing belly fat despite your best efforts at the gym and in the kitchen… Sometimes, the truth hurts! You’re only doing cardio: You need to do a combination of weights and cardiovascular training to lose fat! You’re sleep deprived and eat for energy. Chances are if you are having a hard time busting that belly fat, it’s because of one or a combination of the issues above! Some of those items we can’t always control– like genetics– but it’s good to be aware of the culprit and work harder in other areas to offset areas of weakness! From our personal trainers in Durham, we hope you have a fantastic day! We all know we need to be eating breakfast, but the real question is, are we doing breakfast the right way? Read on to find out if your breakfast is working for you. Eating a “good” breakfast does not mean eating a big bagel or processed muffin. Chances are if this is what you consider a good breakfast, you’re likely going to have a hard time losing weight. During the week, make sure you are choosing whole foods that are rich in protein and fiber. Examples include omelets, oatmeal with fruit and nuts, a green smoothie with some protein powder, or an egg and avocado toast. For those of us who don’t have time to make breakfast, opt for the protein bar over the bagel. Some of us may have a hard time eating a full meal when we first wake up and that’s ok. Eat something small within the first hour of waking up and then eat the second half of your breakfast post-workout or just an hour later. Just get healthy food in your body– Plain and simple! There are no rules for breakfast, as long as it’s healthy! If you wake up and you want last night’s chicken for dinner, by all means go for it! Don’t confine yourself to eggs if that’s not what you enjoy. The more vegetables and protein you can get in the morning the better! 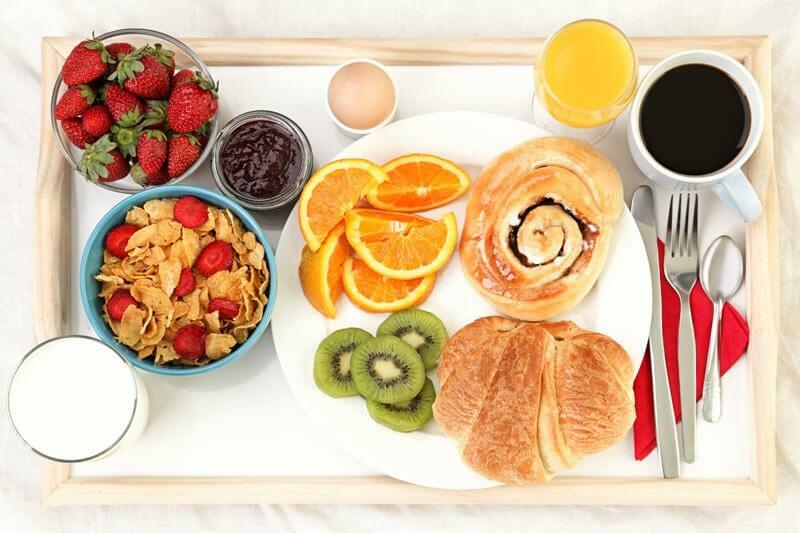 What’s your favorite weekday breakfast? Let us know in the comments below! If you need some fitness guidance be sure and stop by our private gym in Durham!